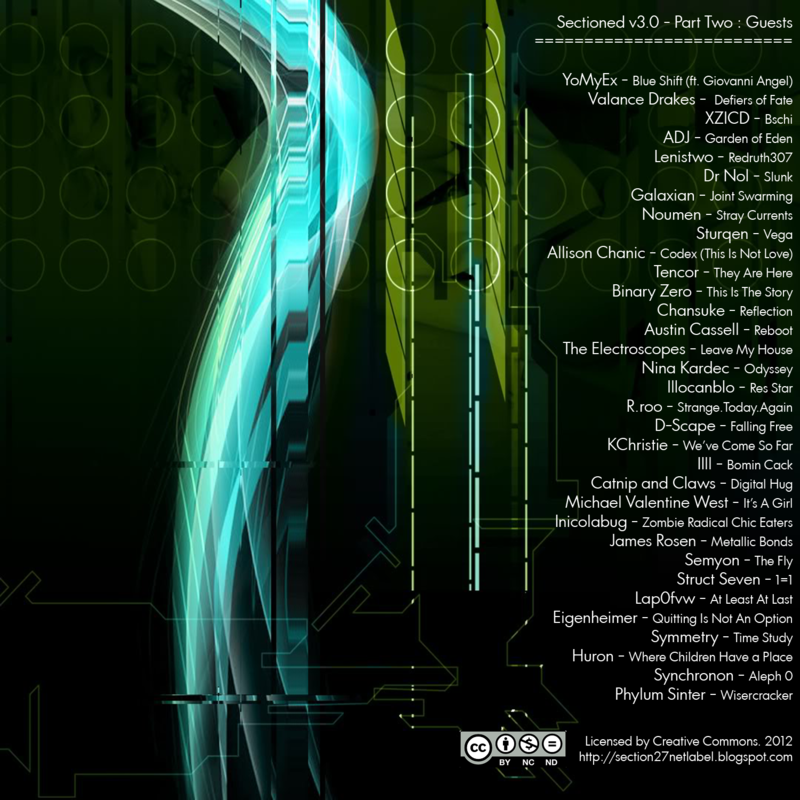 Celebrating our 100th release and our 3rd year of releasing and supporting underground electronic music from all corners of the world. 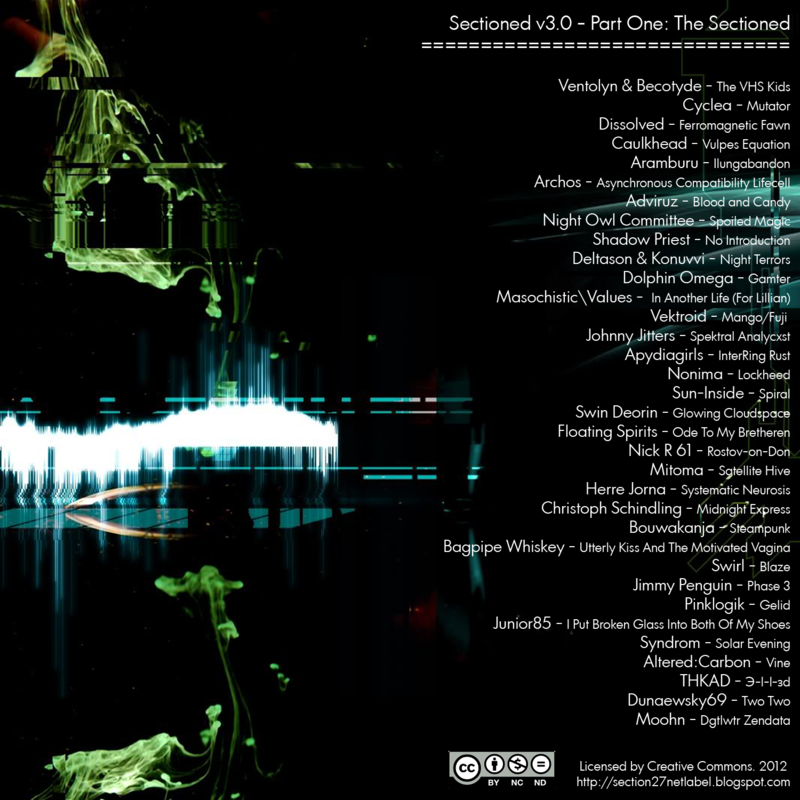 Split into two parts - one section features material by the roster of S27, the other part features friends and collaborators we have met since 2009. Many thanks to those involved and long may we continue. Enjoy! 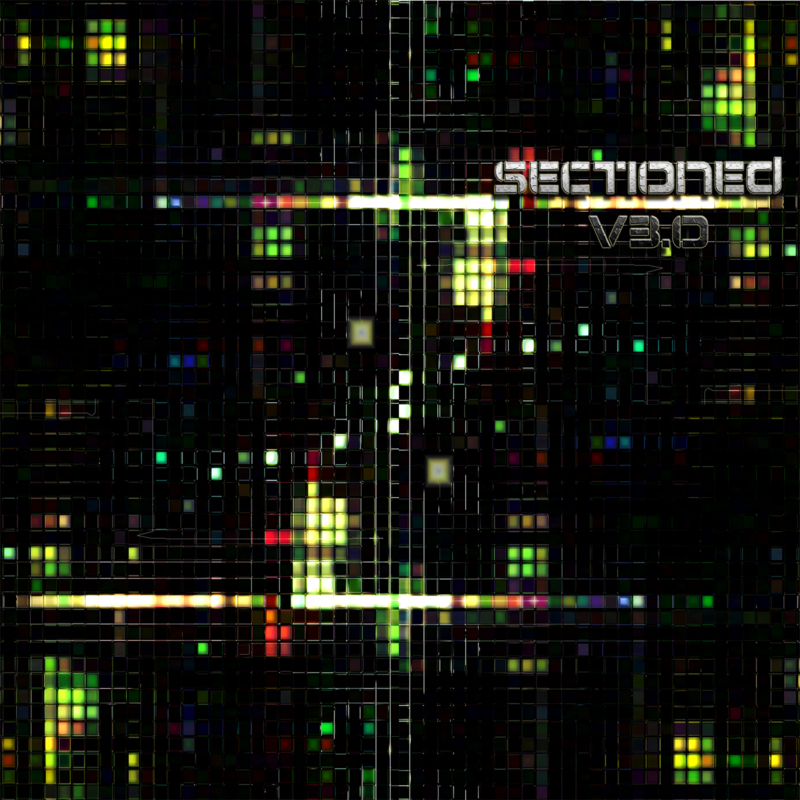 Sectioned v3.0 by Section 27 Netlabel is licensed under a Attribution-NonCommercial-NoDerivatives (aka Music Sharing) 3.0 International License.